Stockholm Stoner are not a metal band by any stretch of the imagination. What they are is a good classic rock'n'roll/blues band in the same vein as The Eagles, Bob Seger & the Silver Bullet Band, the Rolling Stones and maybe even a little Fleetwood Mac. This CD is full of simple, toe-tapping tunes that are fun and easy to listen to. Sometimes, I have to listen to this kind of easier music to clear my musical pallet from the heavy stuff. Don't get me wrong -- I love heavy music -- but I also like the milder, bluesier stuff every now and then. Stockholm Stoner plays feel good music and, really, isn’t that what music is all about? For more information, check out http://www.myspace.com/stooners. 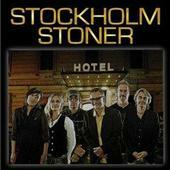 Stockholm Stoner: Mats Ronander, Tobbe Stener, Johan Wahlstrom, Karin Risberg, Magnus Fritz, Maria Brage.